We spend very busy lives in today’s day and age, and many of us wish we had more hours in the day to finish the tasks that are assigned to us. A good portion of our daily schedule is typically spent in favor of doing things that we have to do repeatedly, and we waste a substantial amount of time in doing so. Thankfully, technology has enabled us to do things a lot quicker and also a lot easier. Many of our day-to-day tasks have evolved over the years and we’ve taken technology’s role in our lives for granted. Technology has not only helped make things easier and more accessible for us, but it also helps us focus on more important things and be more productive. A major component of all the technology we use today is automation. Automation with the use of technology has the potential to completely change how we do things. It has helped us simplify our daily routines and help us spend more time working on things that actually matter. Here are Readdle, one of our core missions is to make you more productive by making technology accessible to millions. 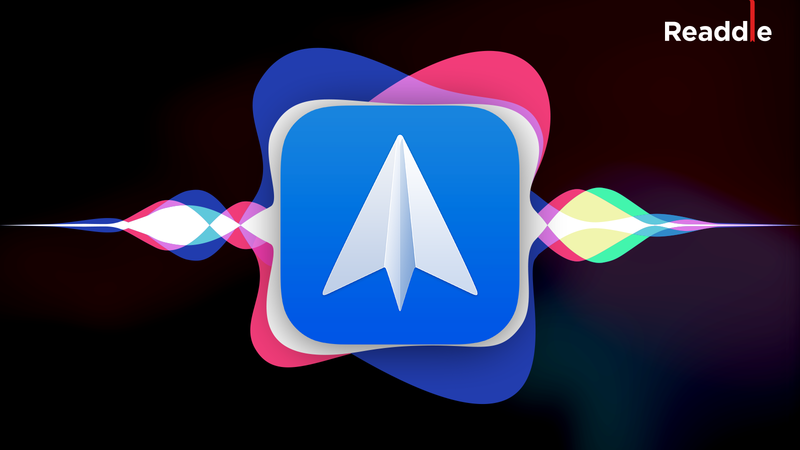 With the release of iOS 12 last month, Apple opened the doors to automation on iOS with Siri Shortcuts. By integrating shortcuts deep into iOS 12 and letting third-party developers like Readdle take advantage of them, Apple has set the stage for a whole new set of opportunities to help us make the things we do routinely much more easier. With email being an integral part of online lives today, we’ve outlined a number of shortcuts for Spark that you can employ on your iPhone and iPad to help you simplify your daily workflow and be more productive. To create a shortcut, go to Spark settings and select Siri & Shortcuts. There you'll see all the available shortcuts. This handy shortcut allows you to directly open a specific folder in Spark. If you frequently access the same folder every day to get to your emails, this shortcut will allow you to record your own custom phrase and jump directly into a specific folder in Spark. 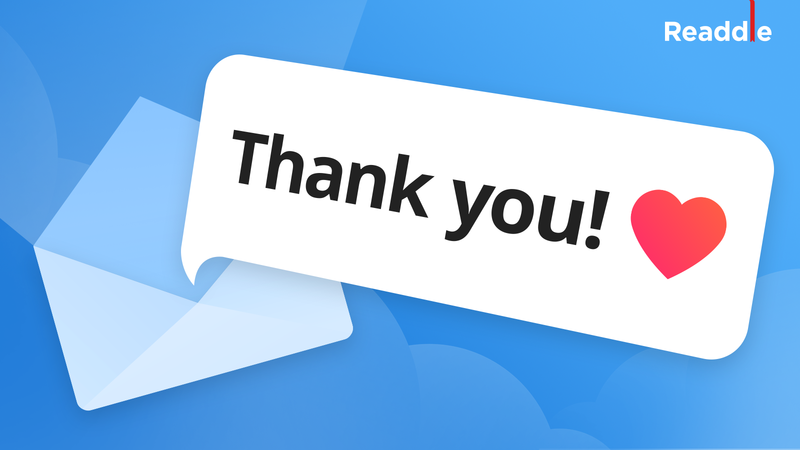 This shortcut supports smart folders like Pins, Snoozed, Drafts, or your own email folders too. 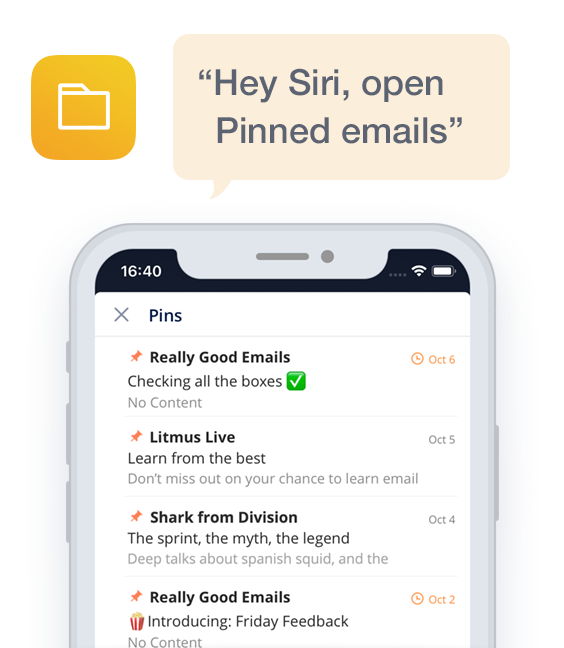 For example, if you have a habit of keeping all your to-dos or most important messages Pinned in Spark, then just create a shortcut to Open Pinned folder and record a personalized phrase like, “Hey Siri Open Pins” and Spark will launch with all the relevant emails in view. This is a very nifty shortcut for people who have to frequently look up a specific type of email in their Spark app. These may be emails from a specific sender, or emails containing a specific string. Any group of emails that you can search for using Spark’s fantastic natural language search feature, can be surfaced using this Siri shortcut. Some examples of this in action are all booking emails for your flight or hotels, bill reminder emails from your provider, etc. Simply ask Siri to open the results of this pre-defined search and you’re set. You can create a shortcut to compose an email to a certain person (or a group). Enter the recipients, a subject line and record a phrase. 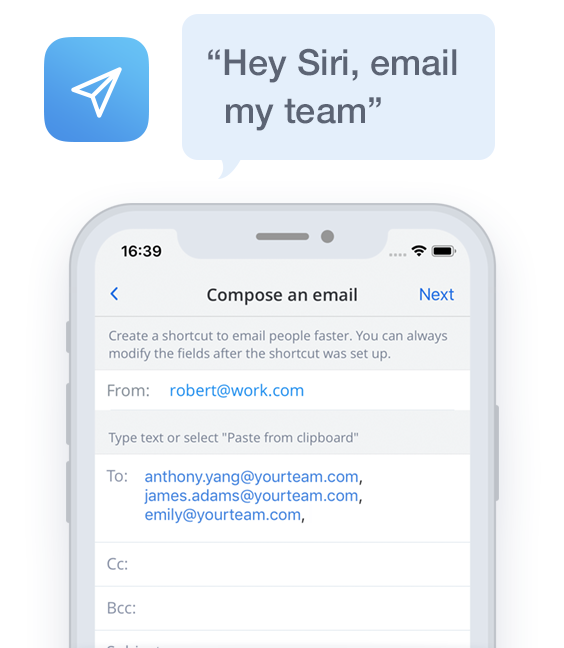 The next time you say “Hey Siri, email my team”, Spark will bring up the email composer with the To: fields pre-entered. With templates coming to Spark in the next few weeks, this shortcut is going to get even more powerful. Stay tuned! The introduction of Siri Shortcuts in iOS 12 has laid the foundation for making proactive assistant like features available to anyone who owns a smartphone. The ease at which Apple has made it possible to configure your shortcuts, the presence of the gallery in the Shortcuts app has made it possible for more and more people to adopt and embrace these kinds of automation. The first few shortcuts we’ve built and described above are only the first steps we’re taking in helping you reduce the number of routine tasks you have to do. 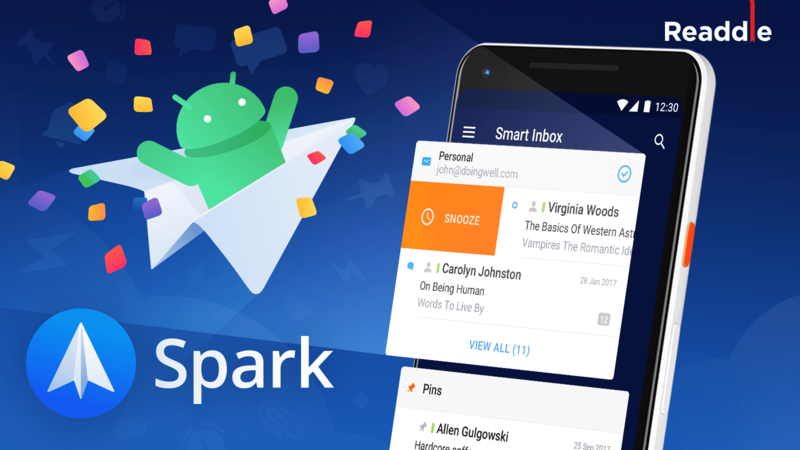 We are hard are work building great new features in the Spark Mail app, so stay tuned. 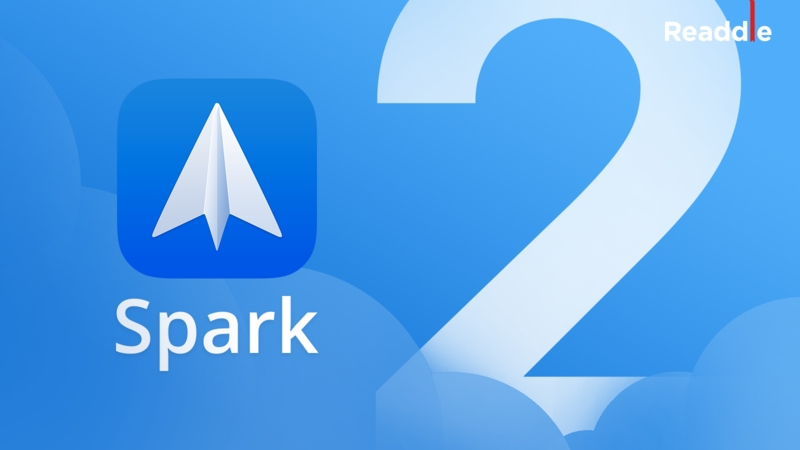 You can get Spark for free on your iPhone, iPad or Mac.